Two Innovations in Aging and Health What is the Duration of a Thought? Experts at TrendMicro published an interesting report on the Deep Web focusing their analysis on the services and products available in the dark part of the internet that is not indexed by the principal search engines. The most popular “dark nets” are TOR, Invisible Internet Project (I2P) and Freenet, and in order to explore these networks it is necessary to use specific tools. Unfortunately, the anonymity offered by such networks is an element of attractive for cyber criminals that concentrated their illegal activities in this hidden part of the Web. It is quite easy to find hidden services and marketplace where is it possible to buy any kind of illegal product and service, including drugs, stolen credit card data, weapons, malware, zero-day exploits and fake documents. 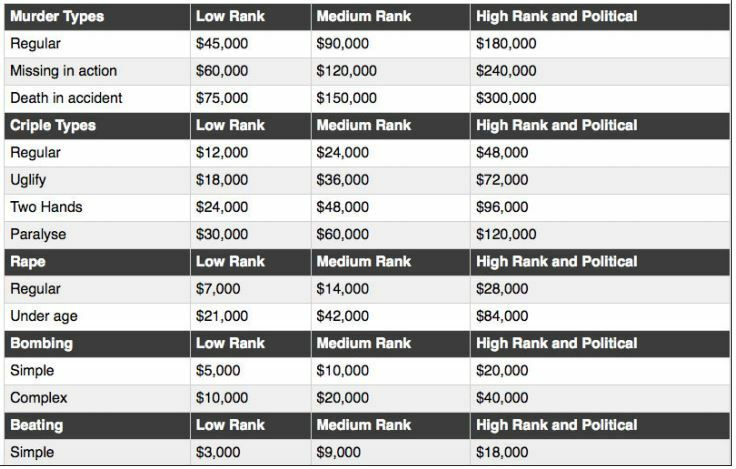 In the deep web it is also possible to pay for various illegal services, like hacking services, money laundering services and hire an assassin. The report, published by Trend Micro, is a sort of “census report” of the Deep Web, based upon information gathered over the past two years by the Trend Micro Deep Web Analyzer. The Deep Web Analyzer is described by the experts of the security company as a web crawler that scan the hidden services and resources collecting URLs of TOR- and I2P-hidden websites, Freenet resource identifiers, and domains with nonstandard TLDs, and extracting content information of interest (i.e. Links, email addresses, and HTTP headers). Disease vector (drive-by download) sites (33.7%). Let’s walk through the report, starting to analyze the site content and language used to try to figure the possible origins of their users. 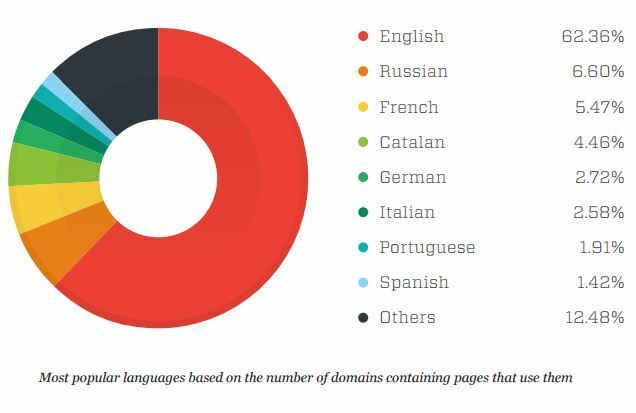 The English is the prevalent language fro the content crawled by the experts, nearly the 62 percent of website analyzed of 3,454 scouted domains are in English followed by Russian (228 domains) and French domains. The interesting data are related to the language distribution based on the number of URLs, the number of Russian URL is greater than the English one. The experts motivated this data confirming that some website are mirrored in both TOR and I2P. By analyzing the principal black markets, the experts tried to profile principal operators, even if the operation is very hard the results are very approximative in my opinion. The analysis revealed that the principal illegal activity remains related to the sale of drugs and chemicals. “Top 15 vendors across all marketplaces showed that light drugs were the most-exchanged goods in the Deep Web. This was followed by pharmaceutical products like Ritalin and Xanax, hard drugs, and even pirated games and online accounts. This data backed up the idea that a majority of Deep Web users—at least those who frequent the top marketplaces—go there to purchase illicit drugs.” states the report. The report also confirms the exploitation of resources in the dark web to hide command and control infrastructure of a number of malware, including the Vawtrak and Dyre banking Trojan, and the Critroni ransomware. Pierluigi Paganini is Chief Information Security Officer at Bit4Id, firm leader in identity management, member of the ENISA (European Union Agency for Network and Information Security)Treat Landscape Stakeholder Group, he is also a Security Evangelist, Security Analyst and Freelance Writer. Editor-in-Chief at “Cyber Defense Magazine”, Pierluigi is a cyber security expert with over 20 years experience in the field, he is Certified Ethical Hacker at EC Council in London. The passion for writing and a strong belief that security is founded on sharing and awareness led Pierluigi to find the security blog “Security Affairs” recently named a Top National Security Resource for US. Pierluigi is a member of the “The Hacker News” team and he is a writer for some major publications in the field such as Cyber War Zone, ICTTF, Infosec Island, Infosec Institute, The Hacker News Magazine and for many other Security magazines. Author of the Books “The Deep Dark Web” and “Digital Virtual Currency and Bitcoin”.